Butler – Beatrice M Snyder, 101, died Sunday February 3, 2019 at Laurels of DeKalb Nursing Home in Butler. She was born April 25, 1917 in Bryan, Ohio to Kenneth G and Hazel A (Flynn) Bevier. She helped her husband Glenn on the family Dairy farm for many years and worked as a waitress at the Green Parrot Restaurant in Waterloo then worked in the meat department at White’s Westwood in Auburn before retiring in 1982. 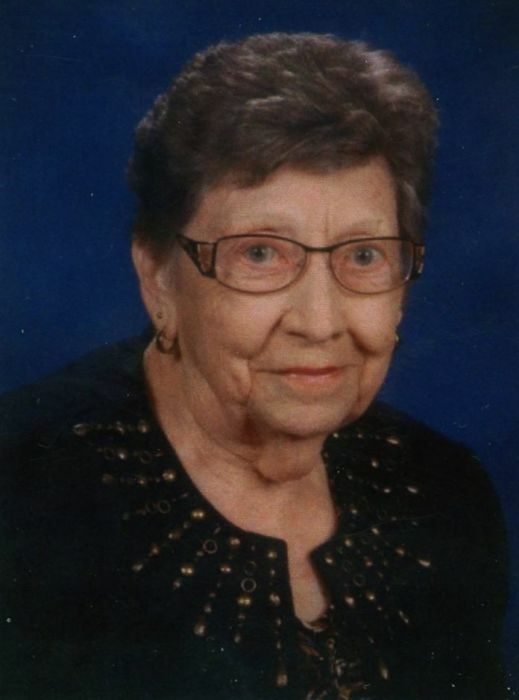 She was a member of the Butler United Methodist Church in Butler, an 85 year member of the Eastern Star and a member of the Wilmington Township Home Demonstration Club. Beatrice married Glenn E Snyder on March 28, 1937 in Waterloo and he died April 6, 1968. Surviving are 2 sons and a daughter, Dave (Marilyn) Snyder of Butler, Jeff (Wayne Tanaka) Snyder of Fresno, CA and Jill L Cessford of Auburn; 11 grandchildren, 18 great grandchildren and 12 great great grandchildren. She was preceded in death by her parents, husband, a daughter, Judy L White-Newland, a brother Donald L Bevier, 3 grandsons and 3 sons in laws. A memorial service will take place at the Butler United Methodist Church at a later date. Preferred memorials are to the Honor Flights of Northeast Indiana or a charity of the Donor’s choice. Feller and Clark Funeral Home of Waterloo is assisting the family with arrangements. To send condolences visit www.fellerandclark.com.